THE NATURAL HAVEN: Coconut oil = Crunchy Hair? Coconut oil = Crunchy Hair? Some ladies have noted that they tried coconut oil but were disappointed because it left their hair crunchy and hard. I have also had a similar experience when I initially began to use it and I believe it was because I put too much oil on my hair. On forums some say that coconut oil has protein but if there is some (usually well filtered oil will have almost nothing) it is very little. Hard hair from protein requires mega protein like commercial treatments like aphogee. I now use the finger tip method and I think it works better. This means your index finger is the measuring scoop. You need to coat the tip, anything that drips off is not needed. You then spread the coconut oil between both palms and apply to your hair. Ideally section your hair into at least 4 sections and just use your palms to spread the coconut oil onto your hair. Check that your hands are not oily, if they are, continue to apply to the next section (don't get another finger tip!). Usually 2-3 finger tips are sufficient for the entire head. 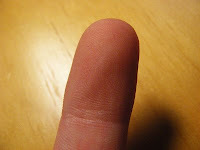 With shorter hair (under 6 inches), 1 finger tip is enough for the whole head. Focus on spreading the product well and ensuring the hair has a very thin near invisible coating. If your hair feels greasy, you have used too much and with coconut oil, this is easy to do. The remedy for this is to wash your hair. In fact, you probably should just sit for an hour or so to treat it as an oil treatment, then go ahead and shampoo/condition your hair (Then you can claim the oil treatment was just part of the plan :)). Edit to add - If you still have no success with it as moisturiser, just add a teaspoon to your hair conditioner instead! I have never had any good results with coconut oil. I guess I will give this method a try but my hair is soooooo thick. i so resonate! i tried coconut oil as a daily thing (instead of just melting it and putting it into my conditioners) and my hair was crunch, shiny and hard. it was bizarre. another thing, too, is that coconut oil can get very runny when it's warm. i was at work, and noticed that it looked like i was sweating profusely by my left temple. nope. it was the coconut oil. Hi Loved by Him - less is more! Even if your hair is thick, just make sure you are not applying so much. If a few strands miss out, it's ok. However if you slather it on, you may end up with the coconut oil crunch. Great tips, I always think my hair smells like food after i use coconut oil... i want to get it. My hair only got crunchy in the winter when I would go outside to get in the car. One day I had a braid out and I brushed some hair out of my face only to feel hard crinkles! At first I was scared that if I wasn't careful I would break a chunk off like an icicle! But after a few minutes in the car it was super soft again. Totally weird! Could it be that the crunchy feeling in the winter is a result of the coconut oil that is not yet absorbed into your hair is solidifying in the cold temperatures? After all, it tends to soften up when warm just like in a bottle. Hard and solid when cols, runny and liquid when warm. After reading your last post about the wonders of coconut oil, I'd been planning to buy some. I got home today after going to Whole Foods and buying a jar of coconut oil, and I find this article. Lol. I can't wait to try it tomorrow. I put a bit near my part in the front of my hair, and the hair is shiny and soft. I hope my hair loves this stuff. i've never had this experience with coconut oil. though my hair gets crunchy in the winter when i walk to university. Coconut oil makes my hair really silky - not hard. But since my hair is fine, it tends to look too thin and weighted down after using (too much) coconut oil. I've learned to mix it with a drop of olive oil for the perfect blend. I get the shine of the coconut oil but the olive oil keeps my hair from looking too "straight". I've never had much success with using coconut oil alone, but it always seems to work well with a bit of olive oil. i've recently gotten in the habit of mixing coconut oil with castor oil to reduce that tacky feeling castor oil gives me. my hair is remarkably less frizzy, and the shine is unbeatable. it is amazing how a little coconut oil can go a long way. this is a great post. I have cocnut oil but Haven;t been using it since it made my hair hard and my shea butter made it soft but nly when my hair is wet when I apply it. But I will ry to coconut oil thing to see if it works for me after reading your tips. I just found this blog and I am now in hair geek heaven. I love it. I find that coconut oil makes my hair crunchy, but my hair is on the coarse side and has issues with most proteins even in smaller amounts. I thought that you might like this NIH link showing that coconut oil doesn't contain protein on its own, but that it does reduce protein loss. That may relate to the crunchy feeling for some people. Did any of you have hair growth with the coconut oil? Today is Oct. 14,2009. If it does work, you would know by now. I'd stoopped using my unrefined coconut oil on my hair because it made mine crunchy and still didn't seal in any moisture. I'll give it another try as a pre-wash conditioner, and maybe try to fingertip application on top of the moisturizer I use. Coconut oil is solid at room temp so maybe the crunchiness comes from coconut oil that is solidifying in hair at certain temperatures. @Linnan - Coconut oil only helps to maintain the existing hair. It is not known to make hair grow longer, that relies on genetics and how well taken care of the hair is. Anon 26042010- Good idea about temperature. I did experience rock solid hair when I went skiing. It was surreal. Coconut oil as a hair product is traditionally used here in southeast Asia where at our room temp, coconut oil is liquid (here we would have to put it in the refrigerator for it to turn solid). In cooler weather, try using coco-oil as an over night wash-off treatment instead of a sealer. Apply oil on hair and wrap with a warm towel. Virgin coconut oil is solid when temperature is lower than 22 Celcius or 74 Fahrenheit. I think it explains a lot of the crunchiness issues people sometimes have with coconut oil. Great for summer though ! I've heard that Coconut oil doesn't actually contain protein, but it does prevent protein loss, so if you're still doing regular protein treatments and you start using it can cause your hair to turn hard and crunchy. Ok, so which one is it!? Does it make the hair soft or crunchy! Not too long ago I went on a trip to a tropical island and brought some pure coconut oil back with! I thought it was to moisturize then i read somewhere a lady used it in cold climate and it made her hair hard which is understandable because I too live in cold climate and during those times of the year the bottle I purchased turns solid, but during the warm months it turns back into a liquid!I wanted to incorporate this into a spray bottle leave in conditioner regiment. Any suggestions?!?!?! Coconut oil solidifies at cooler temperatures. That is all it is. That is why people are feeling it is crunchy. Almost like you put on a hold spray. As soon as you go inside a building or into a car or whatever it goes back to being soft. Just leave it alone and don't touch it or mess around with the hair while it's crunchy. Coconut oil seals in the protein, if your hair gets hard or crunchy then you have protein overload and you need to moisturize with something like aloe vera, avocado, honey, etc then use the coconut oil to seal it in, it VERY good for your hair, i drink it in my tea also. thank you for this explanation i really needed to know what to use to moisturize it! it gets crunchy and hard to comb through which makes me really disappointed as I thought coco oil was supposed to smoothen it. I too had the same crunchy feeling after using A LOT of coconut oil, like I usually do with my sealants. But I immediately figured I had used too much. I will definitely this finger tip method. 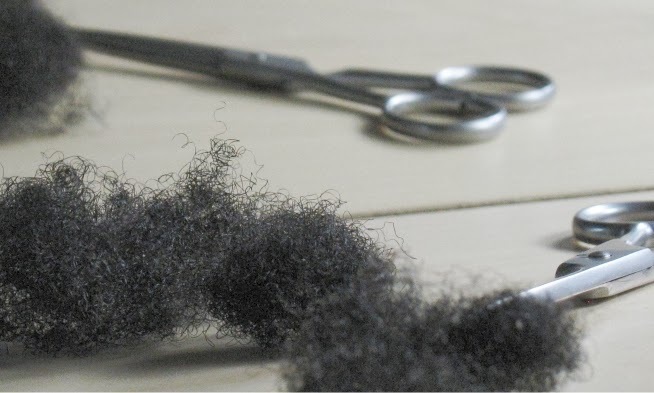 however I doubt i'll be using coconut oil as a sealant or moisturizer as I tend to use A huge quantity of products in my hair, because I don't see how a pea size amount can penetrate all those hair follicles. I also have dry hair, though I've been experimenting with different techniques and products, 2 years of experimentation later, hair is still dry and refuse to me moisturized.